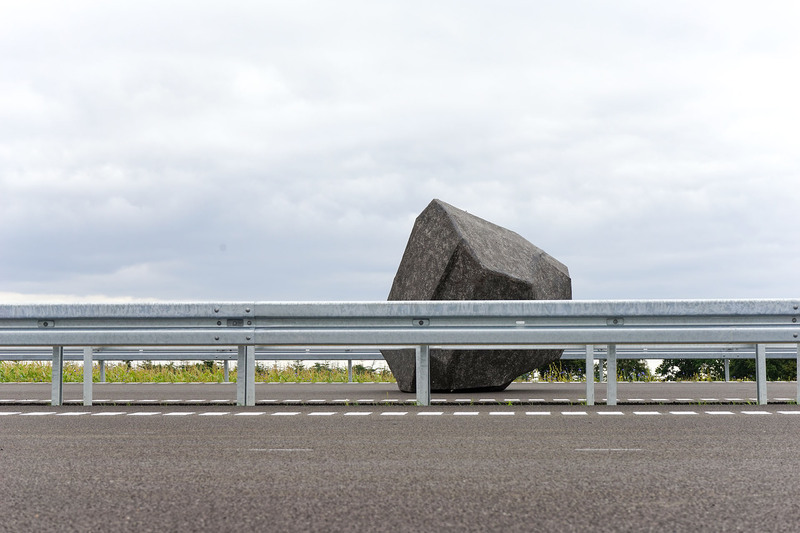 [En] The sculpture WURF III [throw] is the third phase of the Throw-Project. 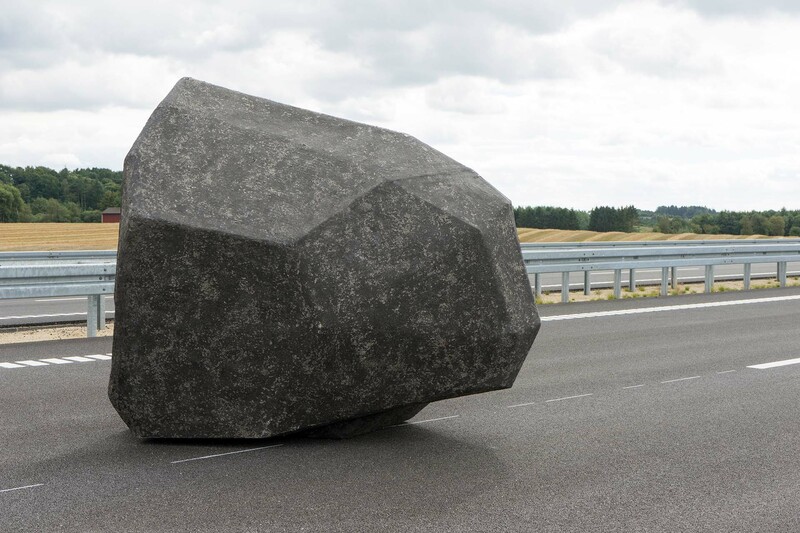 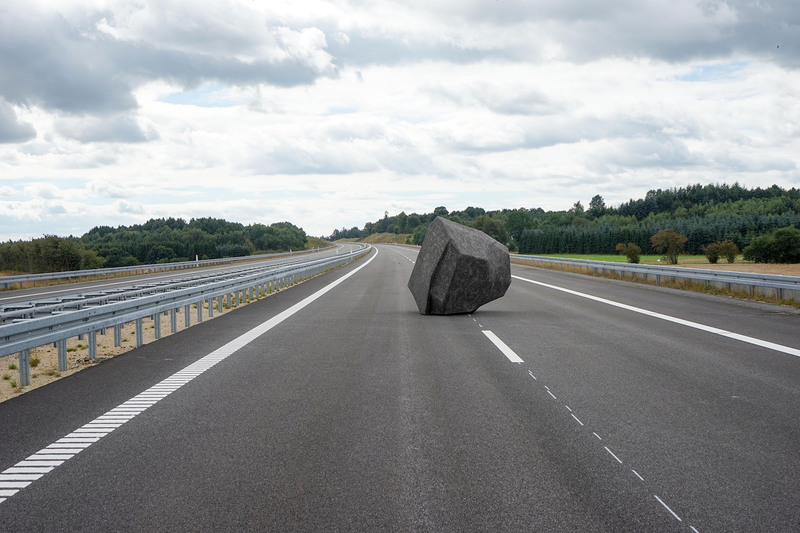 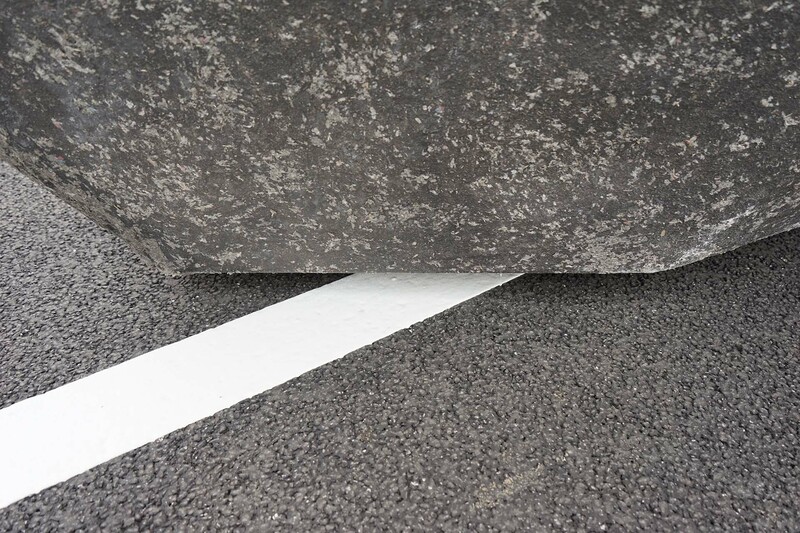 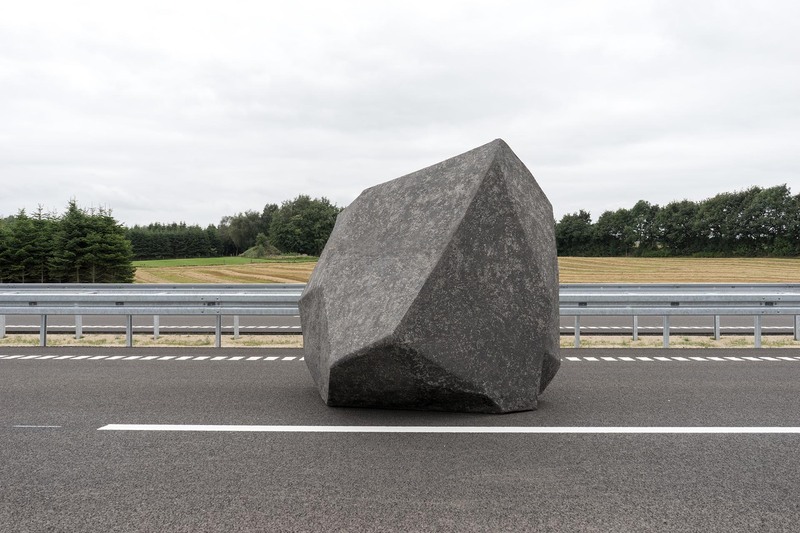 The large stone abstraction is placed on a lane of Silkeborg Motorvej connecting the Danish cities of Herning and Aarhus. 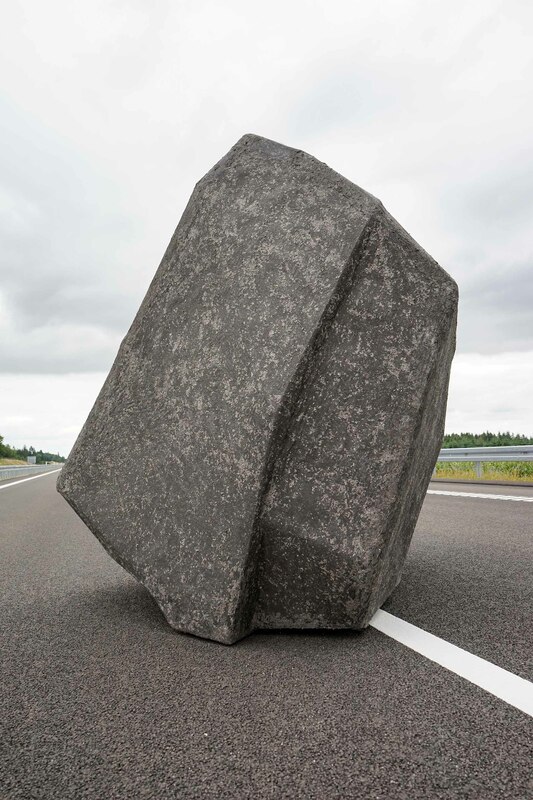 [De] Die Skulptur WURF III ist die dritte Phase des Wurfprojekts. 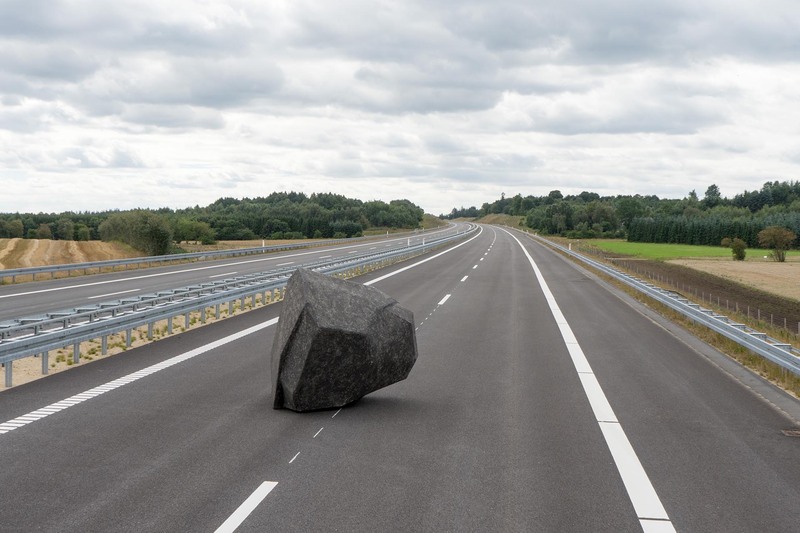 Die Steinabstraktion befindet sich auf der Fahrbahn des Silkeborg Motorvej, einer Autobahn, die die dänischen Städte Herning und Aarhus verbindet.